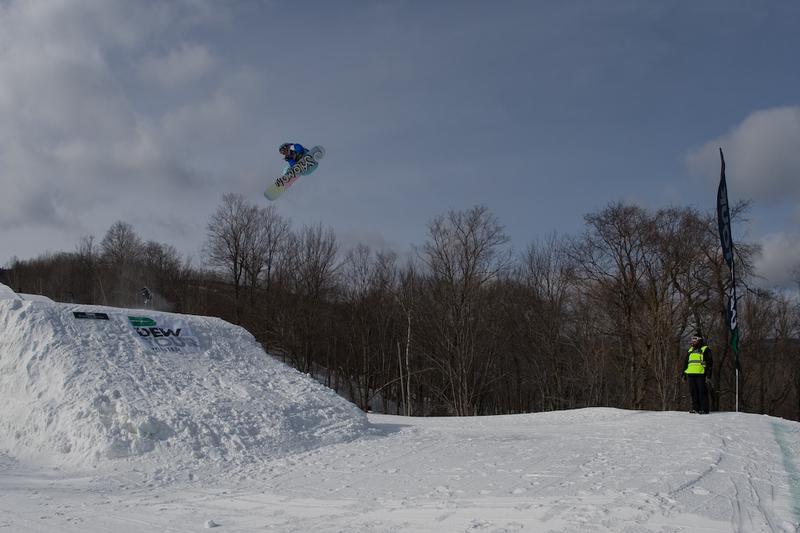 By: Kelli Redes – The sun was shining, the temperature a little warmer (finally in the 20s), and the freshly maintained course was ready to be attacked by the female snowboarders. All were hungry for their chance at not only the Toyota Championship, but also for the overall Dew Tour Cup. With Spencer O'Brien, Jamie Anderson and Jenny Jones all in close contention for the Cup, and all these ladies riding fantastically, it was anyone's title to claim. For a full list of results, click here! Five female riders showed their tricks in finals today on a course that was anything but easy. It was a massive course, with no separate men's or women's features, however this format really allowed the girls to shine, throwing down huge tricks and spins. The day started with Megan Ginter pulling a nice clean run scoring a respectable 75.00. Spencer O'Brien put down a really nice run also, including a giant 540 and big backside 3, to score her a nice 78.75. 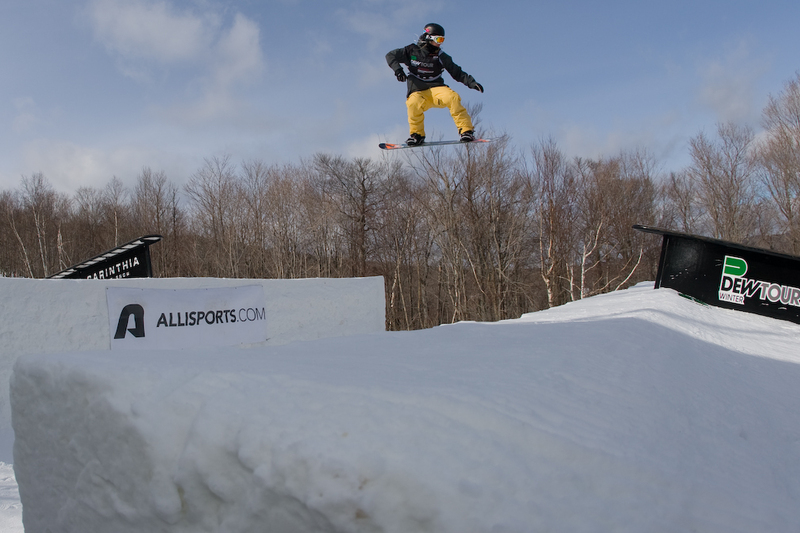 Jamie Anderson took an early lead, landing a clean first run scoring a 90.00. But the true clincher came in the second runs. Kjersti Buass was the first to get the energy pumping throwing a perfect run, and then deciding to throw a 720 off the last booter. The icy landing got the best of her and she just couldn't ride away clean, but she certainly got the other competitors and the crowd amped! Next, fresh off her x-games win, Jenny Jones took to the course, landing a nice Cab 3, Backside 3 and a perfectly executed frontside 7. She scored an 83.75, just enough to land her in second place, and bumping Megan Ginter off the podium. With the three Dew Cup contenders now in first, second, and third, and Jamie and Spencer still to take second runs, things were getting heated! The ladies really stepped it up. 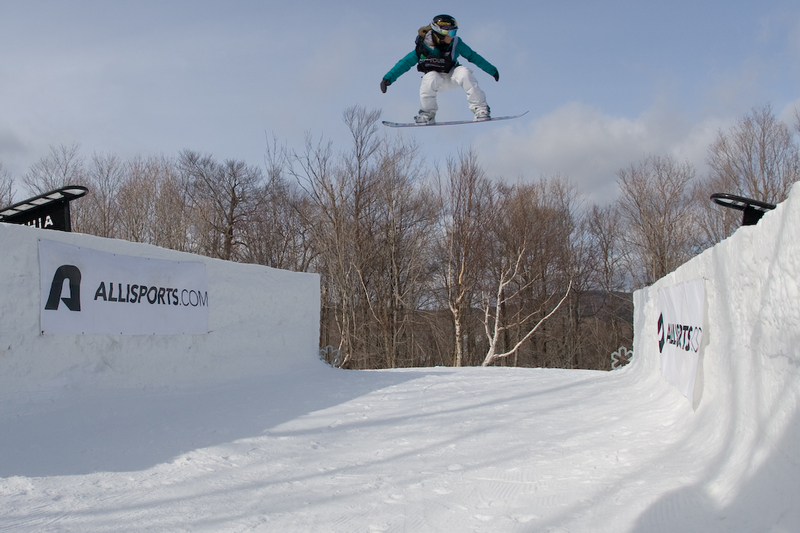 Jamie went first and threw one of the best female slopestyle runs in Dew Tour history, scoring a record-breaking 96.25. Not only was she tailpressing and completing picture perfect boardslides and front boards on the rails, but her jumps really set her above the field. 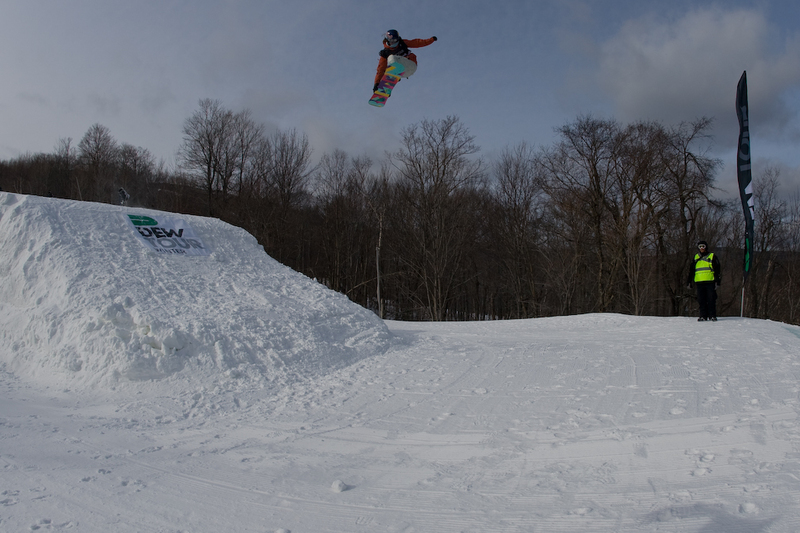 Jamie landed a giant switch backside 540, and continued on to a frontside 720, lofty backside 180 combo. Spencer also stepped it up, but when she went for a stylish frontside 7 off the toes, she just couldn't hold onto the landing. With these results in, Jamie just clinched the Dew Cup, and it was rightfully deserved. When asked about her win, Jamie said it was all about the girls cheering each other on and really supporting each other and having fun. "The course was a bit scary, but in really good shape today and the conditions were much better then they have been. Today was just really fun and I'm really excited for everyone." 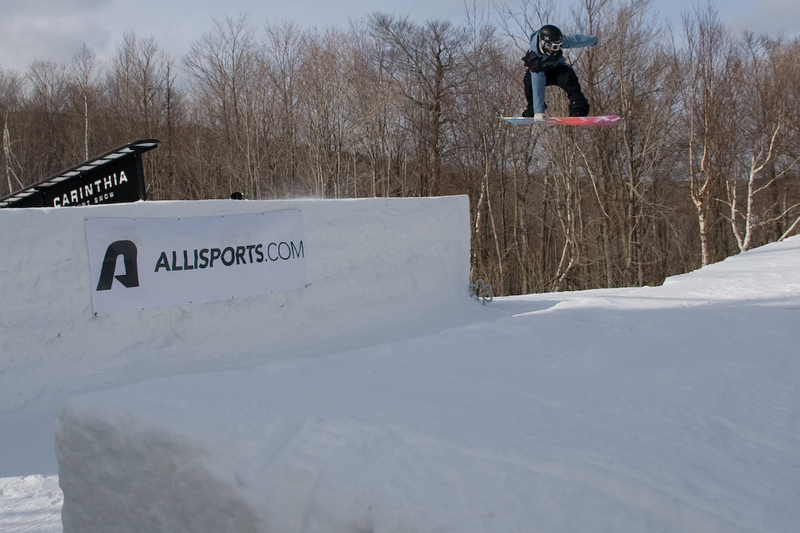 All the females in today's competition really brought women's snowboarding to the next level. Showing they can throw down, and while maintaining finesse and style, really can go just as big as the boys.